It’s a feeling that could apply to any number of budding entrepreneurs across the UK, many with the potential to have a positive impact on community life. But these are the words of Bea Herbert, founder of mental health enterprise States of Mind, describing how she felt before joining the Enterprise Bootcamp run by Hackney business charity Bootstrap in 2017. Bea was speaking to the Citizen as Bootstrap prepares to welcome applicants between the ages of 18 and 30 for its 2019 programme, which is again free to join and runs from 27 February to 1 May. 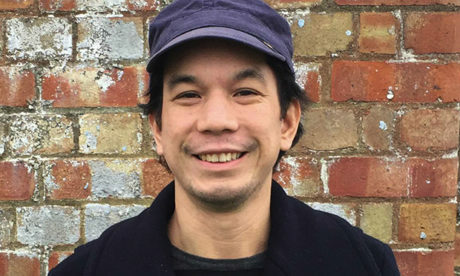 For a run-down on what the 10-week course is all about, we spoke to organiser and teacher KC Liang, who relaunched it a few years ago following a long hiatus. “Forty years ago, Bootstrap started as a grassroots charity which helped entrepreneurs to be self-sufficient,” he said. 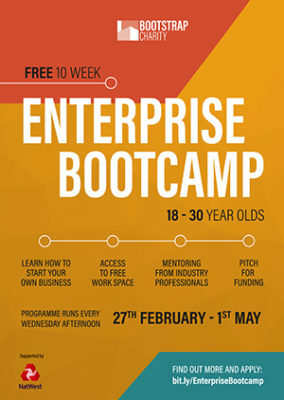 The accredited training takes place on Wednesday afternoons, and includes workshops, mentoring, networking and funding opportunities and, according to the charity, “equips young entrepreneurs with the tools to start up”. But KC added: “It’s not all about the business. There are soft skills we teach, like confidence. We can provide funding, which is key. “Also, lots of young people don’t have the professional network that more experienced entrepreneurs have, so we give them a helping hand by providing a mentor. “This is an experienced, local entrepreneur who’s going through the same battles our participants will face with their businesses. KC’s background is in finance, but he moved into social entrepreneurship seven or eight years ago and says he has “fallen in love with social enterprises”. He sees the main role of business as filling a need, but says Bootstrap is not just focused on social enterprises. “It varies wildly. Sometimes we get 60 applications for 30 places, and then we have a decision to make. “But the main things we look for are drive and desire, and the fortitude it takes to make it through the programme. “We look to invest in people, not just ideas. Past alumni have gone on to launch successful ventures in various fields – adventure games for people with sensory impairments, eco-friendly fashion, children’s charities, healthy eating, apps for electric vehicle owners and fitness tools for vulnerable women, among many more. 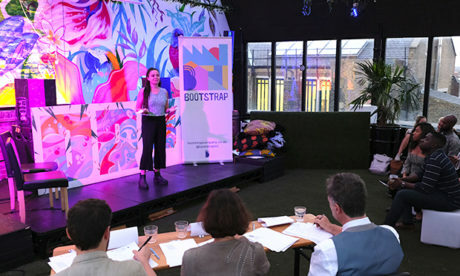 Bea, who has already launched States of Mind in five London schools, was full of praise for Bootstrap’s bootcamp. “The most useful thing is it gives you everything you need to start and run a business. “It’s hard to find a free course that does that and is not taking advantage of you, so I was surprised to find it. “Every Wednesday you’re there for a few hours, and KC not only teaches you but also draws a lot out of you. “Another thing that makes a huge difference is the free workspace. Bea’s mentor was Colin Falconer of InspireChilli, a platform which provides support and inspiration to entrepreneurs and organisations. She said Colin was a perfect fit for her and her idea, and that he “understood the world I was about to leap into”. Bea describes States of Mind as an “innovative approach to mental healthcare”. “In the UK, there is a medical model for mental healthcare,” she explains. “It focuses on chemical imbalance and is very medicalised. “That has hit huge criticism, including some research suggesting that drugs, in the long term, can cause damage to patients. “Terms such as clinical depression are not scientifically valid, they were basically voted in – but that’s a whole different story. 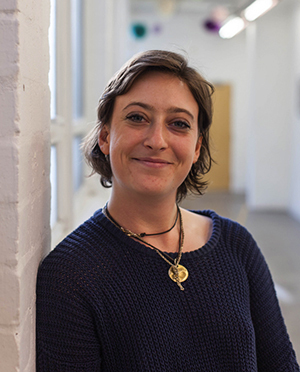 Bea is currently running her own 10-week course at Bootstrap, for States of Mind, and says it is something she would never have been able to do without free use of the charity’s space. She also spoke in glowing terms about the bootcamp’s pitching event, which sees participants vie for funding in a Dragons’ Den-style competition, judged by business experts. She went on to win £500 with her pitch. Bea urged young people with an idea to apply for the bootcamp, saying it’s a “great bridge” into the world of business.